I have been to NY every other weekend for the past month and a half. First I went up to visit Elisa, Julian, and baby Dario, and stayed with them in Brooklyn for a few days. We had a very relaxing weekend, mostly hanging out at Elisa’s wonderful terrace where there is an amazing view over Manhattan, and occasionally leaving the apartment for brunches and lunches at neighborhood cafes. 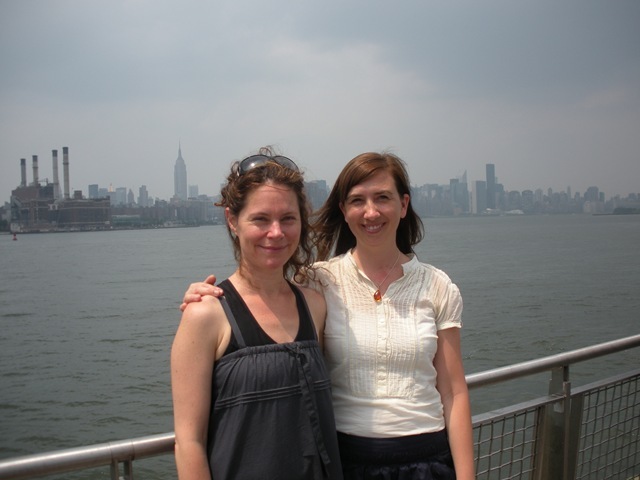 Two weeks later, I went up to Manhattan with Tesse who was here visiting for a week. This time, we stayed at SOHO Grand – a super designed hotel in the middle of SOHO, and had dinner at trendy restaurants such as Schiller’s (though we ended up next to a Swedish couple there – what are the odds?!). Saturday night, Elisa and Julian had a big party so we also went out to Brooklyn for a few hours. 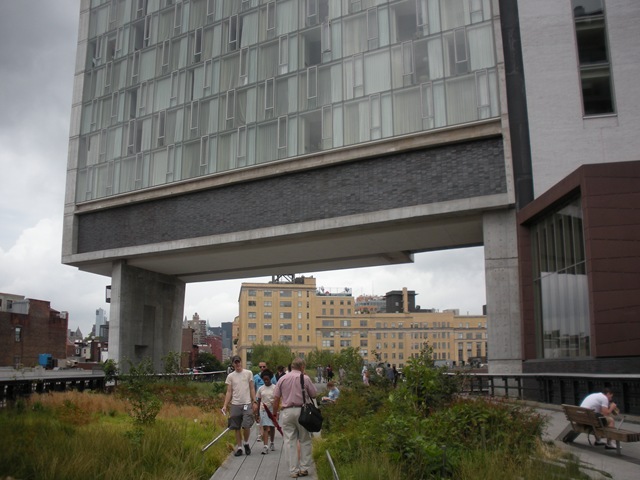 Since both Tesse and I have been to NY many times, we didn’t do so many touristy things but we did visit the recently opened High Line. It’s an old train track above ground that has been made into a park. It is amazing, completely surreal and so lovely. They have planted a lot of different kind of grass in it which makes it smell like in a field. If you have a chance to see it, I can really recommend it. Last weekend, I went up there again with Eva-Marie and Julia who have been here for a few days and are spending the rest of their U.S. stay in New York. 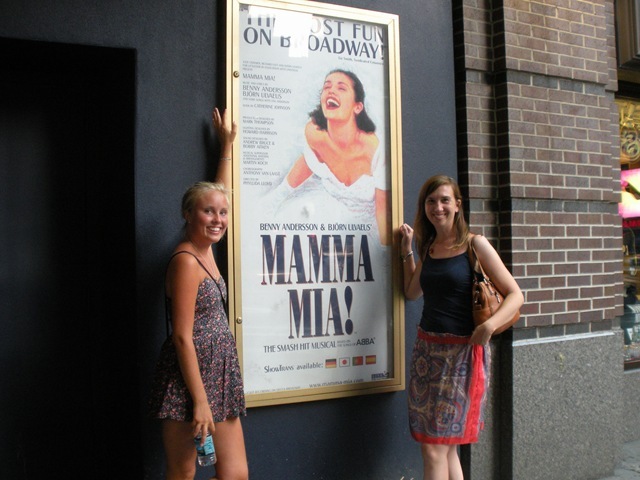 We spent half a day in Central Park, did a lot of shopping, and went to see Mama Mia one evening. I had never been to a Broadway musical before so it was fun to do. The music was great of course as were the singers! And it is so much fun to see performances live! ← That 1 Billion People is Hungry Around the World is NOT OK! !